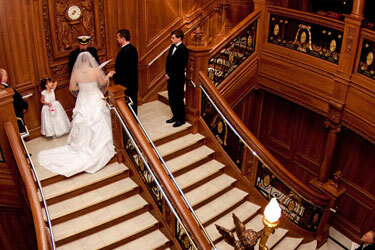 Our Titanic wedding coordinator, Christina Collins specializes in all the elements that comprise your magical wedding day and or reception: music, photography, candelabras, rentals, tent, catering and more. Her goal is to make your dreams become reality by creating a stress free day for you. Whether you envision an intimate gathering of family and friends or a grand luxurious wedding that rivals royalty, she has the experience and knowledge to help you design your special day! Christina will work closely with you to make sure that your wedding day is not only stress-free, but a day filled with wonderful memories that will last a lifetime.